There are a handful, maybe twenty, of heroes of mine in media, arts, and sports who have had such an impact on me personally (and/or my writing and the way I think) that I would feel absolutely compelled to write a piece honoring them and their impact on my life if they suddenly died. Well, sadly for the rest of us, there is now one fewer person on that list. 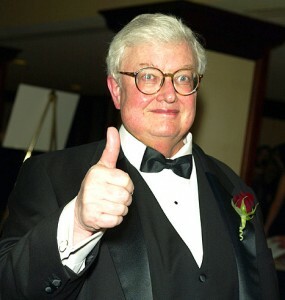 As pretty much every news outlet and website has reported and commented upon, Roger Ebert died today. Looking back, it doesn’t seem strange to me that Ebert had an impact on me: He was the most accessible and thoughtful of film writers. He made it seem so easy to crystallize your opinions, to dig to the heart of the matter. I read a lot about different media, and great writers force me to expand and change my perspective on the art and entertainment I love. Writing is a big part of my life, and Roger was paramount among writers who helped shape the way I use non-fiction writing to convey my thoughts and experiences. What was a little bit surprising to me was just how much everyone shared my effusive appreciation for the film critic. Nobody has anything bad to say about Roger (and plenty of good things). My experience of admiring Ebert’s craft, productivity, and critical thought process — to the point that I use it as a basis for my own writing — appears to be not at all unusual among 20- and 30-somethings writing on the Internet. But, more than that, people seem to respond to to the humanity that Ebert infused into everything he did. People admired and liked him. If you read his blog, you know his passion spanned far greater than film. During his final years, he dug deep into the philosophy of mortality and faith in a way that connected with people on a profound level. I said it here, when I listed Ebert as my #1 writing influence, and I’ll say it again: Ebert was clearly a man of “supreme intelligence and empathy.” He forced his readers to consider the way art operates and how that reflects our own values. I thank him for his clear writing (I never watched him on TV other than YouTube clips), for his compelling thoughts, and, above all, for his inspiring passion. You’ll be missed, Roger. No one will ever be as important to film criticism as you were, and few people will ever change the way I write and think like you did.